This is what’s on my bookshelf – is it the four books combined? 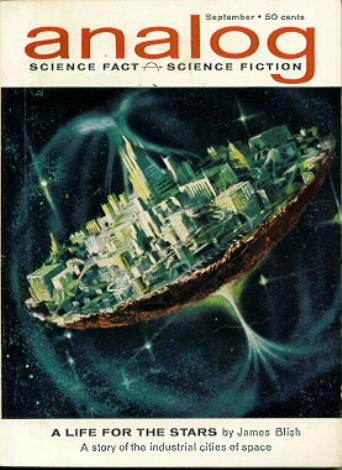 Interestingly, it’s the only Blish book. One of the reasons I like this blog is the reading recs 🙂 Hoo boy, looks like 2018 will be a busy year. I might have to read outside of commute time to cram in all the things I’ve set eyes on. It is indeed ironic how the visions of the future become, instead, time capsules from the past. 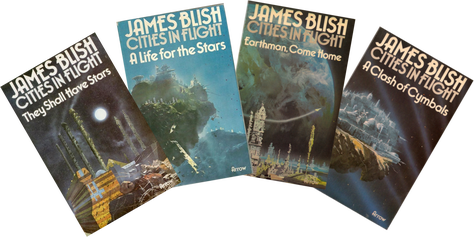 I never read this series of books by Blish, but based on your description I imagine it’s not too far from the space opera cluster of tropes. 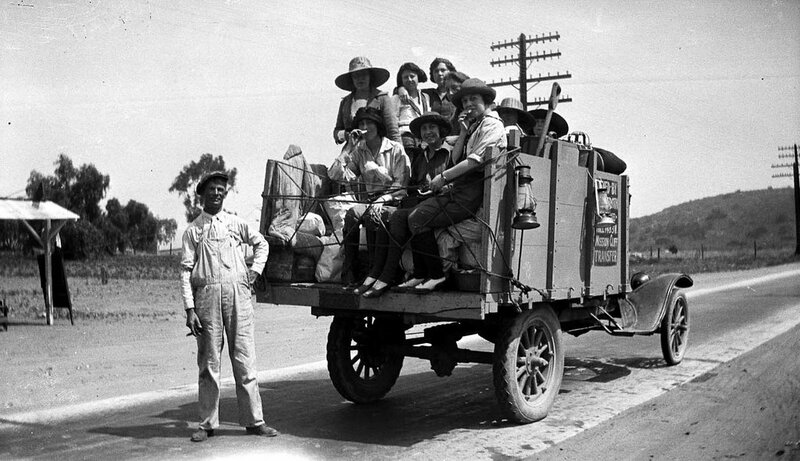 But also, the Okies: based on that, I imagine them as Okies, migrant workers in the Depression Era USA. 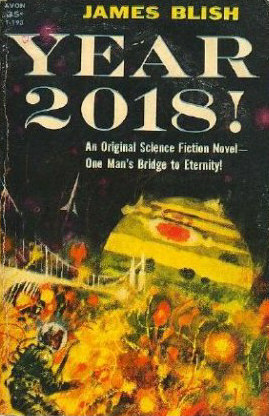 But that’s ok. SF is often sold as a prophet for the future, but I think that misses the point. A canticle for Leibowitz was a prophecy made to cancel itself. SF games possible futures in the hope we could more informedly choose between them. If it happens to resemble the story, cool. If not, it’s still a good story. And no, I’m not in an apocalyptic mood 😛 Some historical perspective seems a good antidote to millennial hysteria. I read Chesterton and sometimes the things he says sound as if written today. Like Father Christmas in that shop of ghosts, the world has always been dying. It will only die when Father Christmas does. Historical perspective, by all means! I don’t recall the “shop of ghosts” in Chesterton — what work does that appear in? I once wrote a “Ballad of St. Nicholas” — we still sing it every Christmas. Sure! I’ll try e-mail — let me know if the message fails to come through. lol . . . It’s a deal!